Taste a range of regional craft beers and then take them with you! 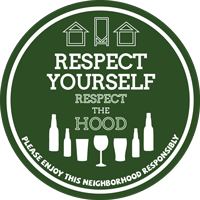 Taphouses, bottleshops and growler fill stations offer convenient hours, knowledgeable staff and the ability to bottle up your favorite beer for later. Like an urban wine bar, taphouses are a great place to enjoy a flight or make comparisons between breweries or beer styles. Growler fill stations are often a pre-game hub, as people stock up for tailgates and barbecues. These highly social venues are a great place to talk "beer," listen to music and often grab a bite to eat. Each one has a different atmosphere, so like the breweries, you&apos;ll want to tour them all! Serving Breakfast, Lunch and Dinner. 16 Tons Cafe is one of Eugene's premiere Coffee and Beer destinations. Located next to Market of Choice (Eugene's local gourmet supermarket), the Cafe features a lovely beer garden style patio. Bring the family! There is something to please everyone including delicious sweet and savory crepes, healthy sandwiches, salads, and kids menu. Full Espresso menu 8 a.m. - 6 p.m. for here or to go. 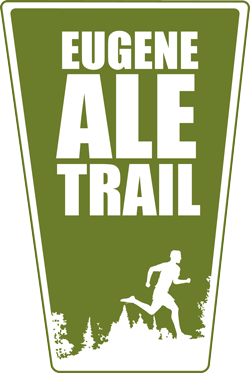 16 Tons is proud to be the founding member of Eugene Beer Week which takes place the first week of June each year. Cheers! A great addition to the Whiteaker neighborhood, Beergarden features an indoor pub as well as an outdoor beer garden complete with fire pits and five to six food trucks comprise a casual outdoor food court called a "pod" that rotates seasonally. 42 taps of craft beer, cider, mead, wine, Kombucha and soda are available along with a bottle selection. A great place for lunch with friends or after work drinks with co-workers. Located next to Gray's Garden Center. An English-style pub in downtown Eugene featuring 28 taps of regional beer. The First National Taphouse is a great place to taste a range of local beers in one spot. Located in the remodeled First on Broadway Building which was once The First National Bank of Eugene. Old bank vaults are displayed throughout, and the taphouse bar and kitchen are literally in the original main floor vault. Since they opened in 2005, the Bier Stein Bottleshop and Taphouse features Eugene's largest beer selection. This European-style bottleshop offers over 1,000 bottled beers and over 30 on tap. Pair with soups, salads, appetizers, deli sandwiches and grilled paninis. Their knowledgeable staff can help you choose from their vast selection. Billard table and comfortable seating. 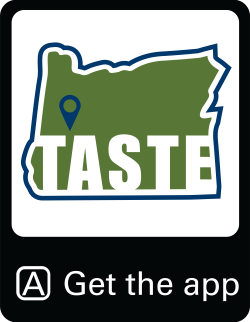 Eugene's most extensive taproom and growler fill station with 70 taps featuring regional craft beer, wine, cider, mead, sake, kombucha, coffee and soda. A full menu offers sandwiches, soups, salads, charcuterie, desserts and other favorites. This downtown tap house is an excellent meeting place for diverse palates’, families and sports fans. Watch the big screen TVs, taste an array of beer and then fill up a growler with your favorite! The Tap and Growler even features a gluten-free tap.